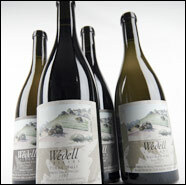 For our 2006 Wedell Cellars Santa Rita Hills Pinot Noir we chose a blend of five different Dijon clones of Pinot Noir (clones 5,113, 115, 667 & 777) with a majority of the fruit coming from the renowned Fiddlestix Vineyard and a lesser amount from another well known vineyard in the Santa Rita Hills appellation to create a truly complex, intricate and compelling Pinot Noir. 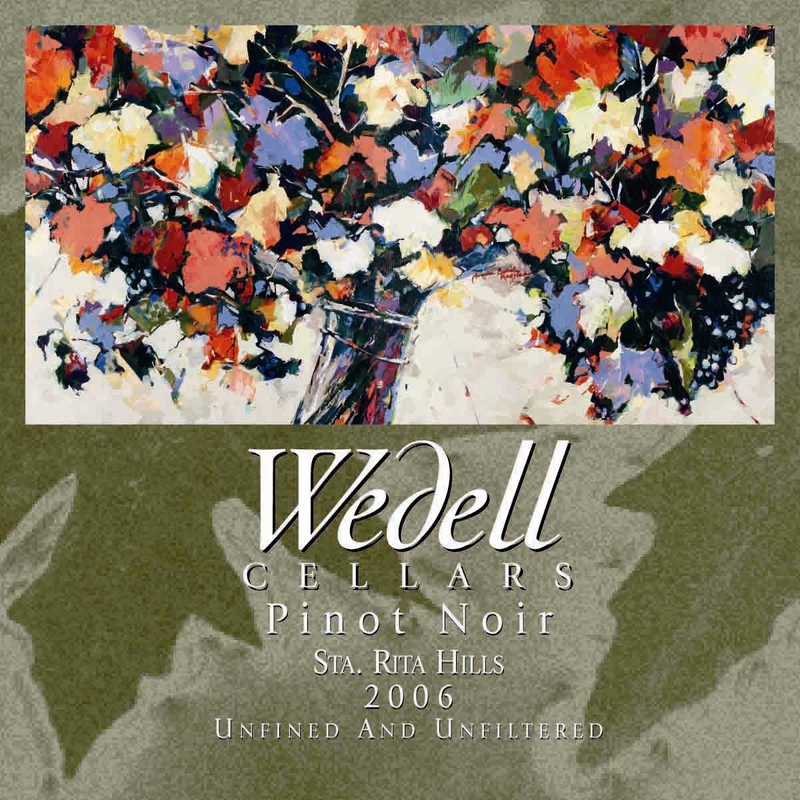 It has always been our philosophy that less is more and the 2006 Wedell Cellars Santa Rita Hills Pinot Noir is a stunning example of how well Pinot Noir benefits from this practice. The 2006 vintage was a classic year for Pinot Noir, bud break in March that was followed by flowering and a small but good crop set in May. The summer was very cool with overcast in the morning and afternoon sun. There was no rain or major heat waves. The normal Pinot Noir harvest for the Santa Rita Hills is towards the end of August, but because of the incredibly moderate summer and the ongoing severe drought the grapes struggled to ripen for almost two additional months while developing intense flavors and complexity. The grapes were selectively hand picked vineyard block by block, the sugars and acidity were in perfect balance resulting in a harvest that lasted four weeks. After harvest the grapes were hand sorted, destemmed and then meticulously hand sorted a second time with all of the stems, leaves, shot and damaged grapes being discarded. The free run juice resulting from the destemming was pumped off and discarded (saignee), the grapes were cold soaked for three days and then open top fermented in small bins using indigenous yeasts with the cap being punched down on a regular basis. Finally after ten days of fermentation the wine was gently and lightly pressed off, in fact, the 2006 Wedell Cellars Santa Rita Hills Pinot Noir is more than 70% free run juice. While aging sur lie for sixteen months the wine underwent complete malolactic fermentation and in February 2008 the wine was racked off its lees for assemblage and bottled unfined and unfiltered. The deep color and intense bouquet of black cherry, raspberry and wild berry are only a hint at what an extraordinary wine we have created. The richness and complexity is reminiscent of a truly exceptional Pinot Noir. We feel that because this wine is incredibly balanced, it is readily enjoyable now and will mature beautifully for years to come.